VideoMagic Films is a leading producer of high quality wedding DVDs. 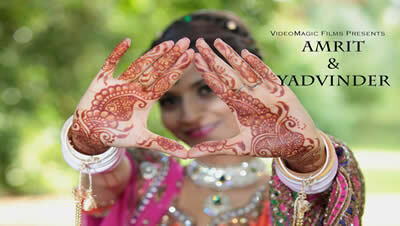 We specialise in Asian Wedding Videos in London. Our Asian Wedding Videos are known for their elegant and stylish outlook. 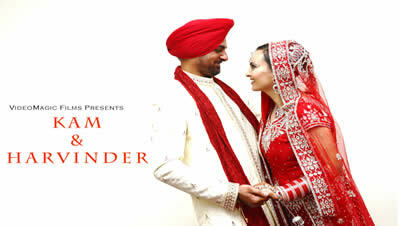 We specialise in Sikh Wedding Videos and Hindu Wedding Videos. We keep a low profile to film memorable moments of you, your family and guests. We offer our customers a personal service from start to finish and best of all, we have a choice of packages, each one can be customised to suit your wedding day and budget. 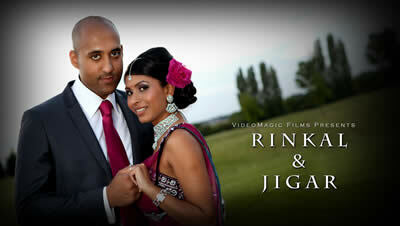 If you would like more information about our Asian Wedding Videos in London, please CONTACT US. VideoMagic Films and camera film roll logo is registered trademark of Big Ideas London Ltd.